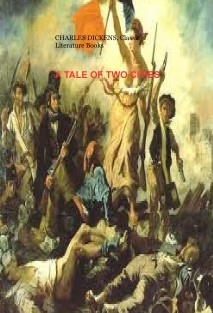 As an example of Dickens's literary work, A Tale of Two Cities is not wrongly named. It is his most typical contact with the civic ideals of Europe. All his other tales have been tales of one city. He was in spirit a Cockney; though that title has been quite unreasonably twisted to mean a cad. By the old sound and proverbial test a Cockney was a man born within the sound of Bow bells. That is, he was a man born within the immediate appeal of high civilisation and of eternal religion.